Our Roman Legion Cooking Pan, or Patera, is based on numerous archaeological examples. It is constructed of heavy brass with a tinned interior. 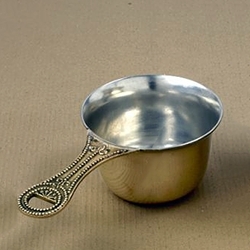 This version of the Roman Legion Cooking Pan has been designed with the assistance of scholars, re-enactors, and other experts.